A Harold John Mostyn was born at Orange, NSW, in 1887, son of William W and Agnes C Mostyn. In 1910 John Harold Mostyn married Laura (1888-1972), daughter of George and Bridget Champley, at St Peters and they had one daughter. He died on 9 July 1956, survived by his widow. Note that further research is required to confirm genealogical details. From at least 1919 to 1930, JH Mostyn was living at Neilson Avenue, Kogarah. 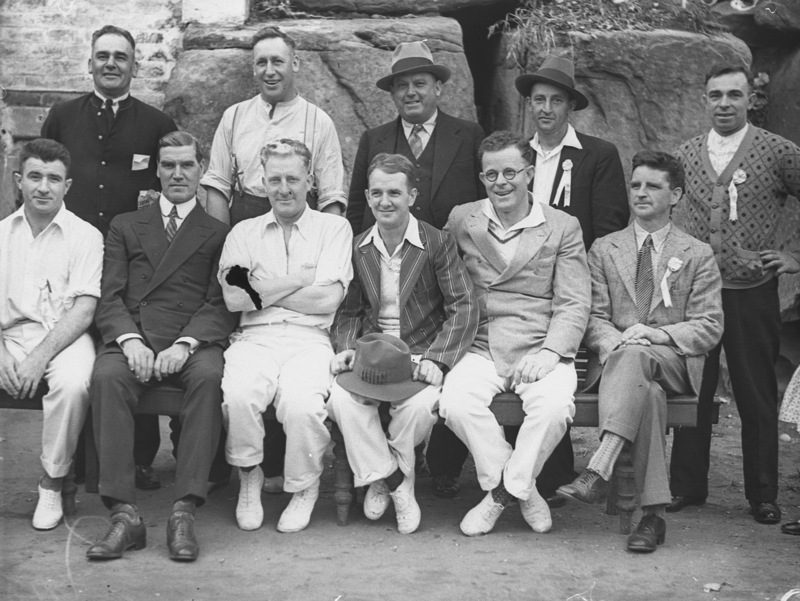 In November 1927, as Sydney’s Lord Mayor, Alderman John Mostyn convened a meeting at the Sydney Town Hall to open the Greycliffe Disaster Relief Fund for the relatives of the victims of the fatal collision of the ferry Greycliffe and the RMS Tahiti. John Mostyn was Alderman for Camperdown Ward, 1 December 1924 to 31 December 1927 when the Council was dismissed and replaced by Commissioners. He was a member of the Electricity Supply Committee, 1925-26 and its Chairman in 1925. He also belonged to the Health and By-Laws Committee in 1925-26. 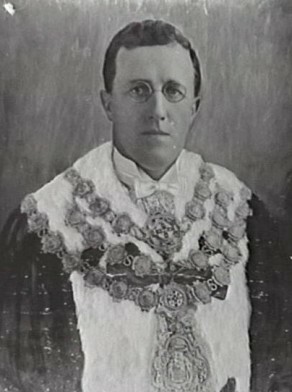 Mostyn was Lord Mayor in 1927. He was a member of the Australian Labor Party. City of Sydney Archives: Aldermen’s Files Photos: CRS 54/93; 54/558; and THC 88/911.